All Shabbat Services are held Friday’s at 7:30 P.M. except during July & August when all services start at 7:00 PM. 1st Friday of the Month at 7:00 P.M.
A Children’s Prayer Book is used. A brief, age appropriate play is performed. Recent Birthdays and Anniversaries are celebrated. 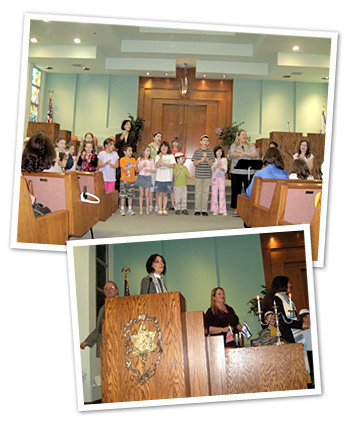 Saturday Morning Shabbat worship is held when a B’nai Mizvah is being celebrated. Consult the Temple calendar for these dates. Rabbi’s Tisch is our monthly Shabbat morning in-depth gathering where we come together to cook and study with the Rabbi. This program explores the rich heritage of authentic Jewish cooking while taking time to study contemporary meanings in ancient holy texts. 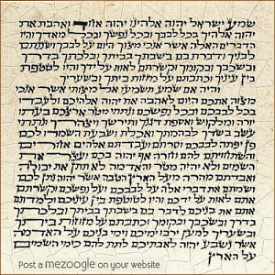 With Rabbi’s Tisch we meet once monthly at 9:30am followed by study and brunch at 10:30am. Because the particular Shabbat mornings on which we meet from month to month may vary, check Upcoming Events at TBA for dates. Torah Tot Time is our monthly interactive program for children aged 2-6 and their parents and grandparents. This is a high energy, fun, kid friendly program open to all including those not enrolled at Temple Beth Am. Please check Upcoming Events at TBA as dates may vary from month to month.